The David Round Company can provide you with standard stainless strap hoists and Lab-Lift™ strap hoists that are both made in stainless steel for use in cleanroom environments. 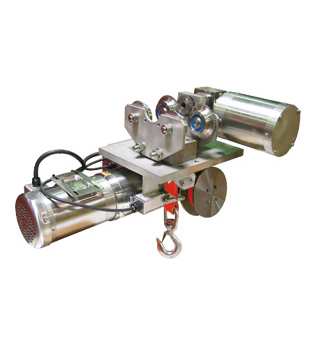 Standard strap hoists can accommodate loads up to 4,000 lbs. and come with a polypropylene lifting strap. The Lab-Lift™ strap hoists have capacities up to 2 metric tons and come with a lubrication-free urethane-coated lifting strap. 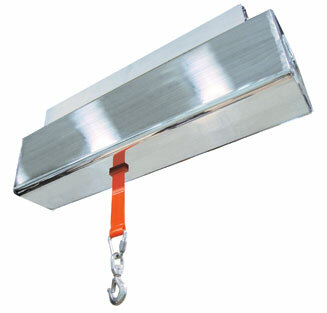 Lifting with straps limits the contamination that can be caused by chain or wire rope. Contamination is not tolerated in cleanroom environments such as pharmaceutical or food-processing plants.